Do you find working in your home country is becoming boring? Well, if you are looking for a job abroad, London may be your best option in the next year. What’s so great about London? London is a dynamic, diverse, creative, multicultural, successful, ambitious, open-minded, modern, food-loving city full of parks, museums, high buildings and architectural landmarks. It is a city with good working and living conditions and where you can never get bored! London welcomes people from all around the world who hope to make it their professional and personal home – in fact, nearly 38% of Londoners were born overseas. The UK economy is slowly recovering and businesses in London are recruiting again. The British are very comfortable with giving promotion opportunities, and working in the UK will be a great way to improve your skills and qualifications. Before you make any plans, make sure you are eligible to work in the United Kingdom. EU/EEA citizens and Swiss nationals can work freely in the UK, but non-EU citizens will probably need to apply for a work permit. If you come to London to look for a job and a place to live at the same time, you may find the situation quite challenging, particularly with regards to living costs. Be organised, take some time to settle down and start a productive job search. What type of job can I find in London? 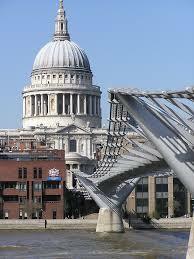 Expats can apply for various types of jobs in London. Creative industries (representing over 5% of the country’s economy) are flourishing: fashion, production, design, media, advertising and marketing will happily welcome new creative minds. The service industry is also huge and employs over 85% of the population in the capital. To find a job in London, check the classifieds sections of the local newspapers and don’t forget to navigate the usual job websites (Monster, Indeed, The Guardian jobs etc.) as most job offers are online. You can also use one of the many job recruitment agencies in London as they are very efficient and particularly good for temporary work (temping). When you go on an interview, remember to dress appropriately and adopt a professional manner – professionalism is highly appreciated. Try to bring references for your potential employer, emphasize your skills and motivation and prove to them that you are the right person for the job. Once you’ve arrived in London, you need to apply for a National Insurance (NI) number, used for taxes and some application forms, and visible on your payslip. Here is a quick guide to help you understand your UK payslip. International students in London on a student visa are allowed to work up to 20 hours per week during the school year, and 40 hours per week during holidays. Having a job is great to gain professional experience and earn some money, but it is unlikely that it will cover all your expenses. It is fairly easy for students to get a part-time job in the UK – bars and coffee houses are constantly hiring for instance, and most of them won’t require you to speak English fluently. Make an amazing CV (max. two pages). Companies in the UK sometimes receive hundreds of applications every month, so make sure your resume is clear and perfectly laid out. Also remember to work on your LinkedIn profile and keep it up to date. Consider the cost of living. London is a very expensive city for many aspects such as rent, food, transportation and other day-to-day expenses. Once you have found a place to live, calculate the time and price of the commute. Thankfully, salaries are respectively higher than in other European capitals, which should balance the situation. The job market in London is competitive and you will need to show excellent skills and strong motivation to get a job. But once you’ve got it, you’re on your way to the American – sorry, British dream. For more information about your rights as an employee in the UK, click here.